Professional legal representation and excellent customer service. Our goal is to provide you with exceptional legal representation and support. We work hard on every matter to ensure it is done correctly and properly the first time. We promptly return client phone calls and emails. We will keep you informed throughout the status of your case. We work extremely hard to provide the best legal services possible while keeping costs down and being fiscally responsible. Please contact us today. We represent landlords only. Need help evicting your tenant? If you have a tenant that you need to evict, let us assist you. Start the process today! We create custom interstate household goods moving tariffs and forms such as the Bill of Lading, Estimate, and Order for Service. Whether its on Yelp, AVVO, Google, or another site, the results are the same – we consistently receive 5 star ratings from clients! We represent landlords only on eviction cases throughout the Santa Clarita Valley, San Fernando Valley, Los Angeles, San Gabriel Valley, Santa Barbara County, Orange County, Ventura County, and San Diego County. Is your tenant behind in the rent? 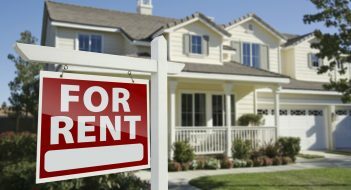 Is the tenant violating a term of the rental agreement? Attorney Piotrowski is a published author on eviction matters and is ready to assist you in evicting your tenant. Once you have regained possession of the property, let us help you with collections. We offer a monthly service plan for landlords. We also offer an unbundled landlord legal services option for landlords that just need specific help in one area, but want to handle the case themselves. This option is good for a landlord who just wants help reviewing paperwork or drafting a notice. Do you want to have a lawyer “on-call” to answer your landlord-tenant questions on a regular basis? Do you want access to our forms library which includes many landlord/tenant form templates for your use? Normally, we charge anywhere between $50 to $195 for a form template, depending on which form you need. When you sign up for our monthly legal service plan, you receive these forms at no additional cost. Interested in one of our landlord/tenant legal forms? Some are available for free. Others are available for a fee. See which forms we offer. Attorney Piotrowski is a California real estate broker. We help owners find qualified renters. We also assist property owners manage their rental properties to take the burden off the owner. We collect rents and respond to maintenance requests. We also help those looking to purchase or sell property. Contact us today for custom assistance. The Law Office of David Piotrowski focuses on California evictions (representing only landlords) and interstate household goods transportation issues such as mover tariffs and forms. Mr. Piotrowski has been successfully representing landlords for over 13 years in all aspects of tenant evictions and with both bench trials and jury trials against very aggressive tenant firms. 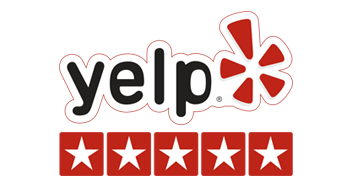 View one of our sample eviction judgments and Yelp reviews. David Piotrowski received a BA from UCLA and a JD from Southwestern University School of Law. Mr. Piotrowski is also a California real estate broker (BRE 01957301) and can assist you with purchasing and selling property as well as helping you find a qualified renter for your rental property. View a sampling of the California eviction judgments we have received for our landlord clients. To learn more about the Law Office of David Piotrowski, click here. Landlords and moving companies can receive a free consultation by filling out the form below. We will get back to you shortly. If this is a landlord/tenant case, where is the property located (city)? If this is a transportation case, what service do you need? Verify your information and click on "Contact Attorney" to submit your form. Call us at (877) 875-6958 or fill out the contact form. A member of the firm will be in touch with you to discuss your case and to determine how we may be of assistance to you. At the Law Office of David Piotrowski, our goal is to provide professional legal representation and excellent customer service. We received excellent service from David Piotrowski’s office. David is extremely professional, always kept us informed, answered questions promptly via email or a phone call. He did everything he promised and more. Thank you, David for your excellent service. I used this company to create a tariff and bill of lading for my moving company. David answered my questions quickly and made the process as simple as possible. Evicting someone is stressful. David answered all my questions and made the process seem easy. This is the go-to place when you have a problem with a tenant! Great service. This firm is awesome when it came time to collect my money judgment. They didn't charge me until they were able to recover money for me!